NEW DELHI (AP) — New Delhi shop owner Ram Shankar Rai spends at least two hours a day going through political news and videos shared with him on social media. Rai looked intently at a flurry of videos and photos on WhatsApp about an Indian airstrike in Pakistan, including pictures labeled as militants’ corpses. Before the world’s largest democracy starts voting Thursday in a phased election carried out over six weeks, this attitude is posing a problem for election officials seeking to combat the spread of fake news among a population that experts say has proven highly susceptible to believing it. Despite efforts by India’s Election Commission to work with social media giants, urging them to tackle the spread of misinformation, at least one former top election official is warning that fake news could end up being the deciding factor in some constituencies with extremely tight races. The election is already taking place in a charged atmosphere as Prime Minister Narendra Modi’s Hindu-nationalist Bharatiya Janata Party seeks a second term by pushing policies that some say have increased religious tensions and undermined multiculturalism. Watchdogs say in the run-up to the vote they’ve seen everything from manipulated pictures being picked up by mainstream news media, to misrepresented quotes sparking communal division, false news and hateful propaganda. And it looks like people are buying it. 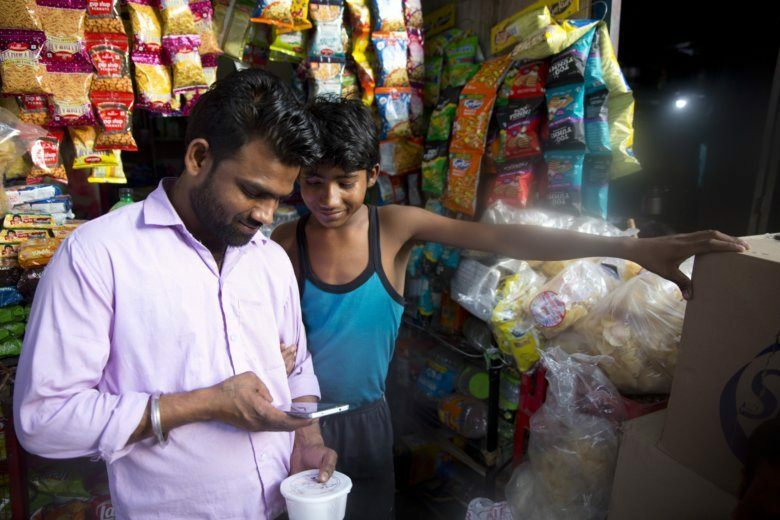 Indian internet users, many of whom are relatively new to the web, may lack the awareness of knowing that “just because it’s on a screen does not mean it’s true,” said Apar Gupta, who runs an advocacy group called the Internet Freedom Foundation. India’s problem with fake news isn’t new, though, and it has already proven to have deadly consequences. In late 2018, at least 20 people were killed in mob attacks that were triggered by rumors on social media of strangers abducting children from villages. Efforts by social media giants to combat fake news in the country were intensified after executives were called in by the Election Commission earlier this year and told to curb the spread of manipulative political information and adhere to the country’s laws on election campaigning. Social media companies followed that with a “Voluntary Code of Ethics” for the elections that they submitted to the government. It’s essentially a best practices agreement that they will try to abide by the Election Commission’s suggestions and rules, including prohibiting campaign advertisements for at least 48 hours before polling begins. But at least two former Election Commission bosses said they don’t believe enough is being done. “The potential of mischief for subversion of the process of elections represented by social media is immense,” said N. Gopalaswami, who was India’s chief election commissioner from 2006 to 2009. “India has clearly not done enough,” he said, adding that some of the responsibility lies with the social media platforms. “The internet has grown up and is having to leave its parents’ home and find a job,” he said, suggesting that platforms should tune their search engine algorithms to weigh the credibility of sources more heavily than ads and viral content. WhatsApp has introduced a fact-checking helpline, encouraging users to flag messages for verification. It also started re-circulating an old advertising video urging people to “share joy, not rumors.” The video was first launched after the 2018 mob attacks. But with new pages and accounts being created daily to push political content, it’s a hefty task. “It is an adversarial space,” said Kaushik Iyer, a Facebook engineering manager who works on election integrity and safety. “What that means is that we will always see adaptation. We will always see new threats emerge,” he told The Associated Press in an interview at Facebook headquarters in Menlo Park, California. “Rather than campaign rallies where we are just passive observers, social media is a better representation of our opinions,” said Sarthak Singh Dalal, a history student at Delhi University. “Obviously, we have to use a bit of sense,” he said.